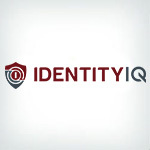 Identity Guard gives me some level of "peace of mind" related to cyber fraud. Feel comfortable that I will get alerts of any irregularities. Have recommended it to a friend who had her account "hacked". customer service has always been very knowledgeable and courteous. They are never judgmental. Consistently professional, and accurate. I feel safer having the service. Love the real time notifications. I appreciate your work. Has exceeded my expectations and I am more than satisfied with the service. Well worth the price for the piece of mind that it provides. So far it is ok. I did get one notification. It was however an existing bank. Identity Guard is the first and only product my wife I have ever used to protect our identities. The ability to get messages and check information is critical to us. Identity Guard was able to inform me when someone else's name was being associated with my SSN. This allowed me to take proactive action to protect my identity. Thank you Identity Guard. I have never had a problem with Identity Guard. Their reports are spot on and I have total confidence in their findings. Will continue to subscribe to their services. Notification good No help in getting incorrect entries removed from my public record. I think everything is fine. I was referred when Chase stopped offering this to their customers because they had used this company. The only issue is that under Chase I could get a printed report sent to me in the mail if I requested it. I did this once a year to keep a history of my closing accounts (not everyone has a printer). I called your toll free number for assistance, and a young man who answered was very professional and knowledgeable, and resolved my issue, which was my own misunderstanding of how to read my report and navigate your website. Every time I have a question about my account I have received nothing but great help. It doesn't matter what I need everyone I talk to go out of there way to help. I really like having someone monitor all accounts concerning my identification. I like being able to sign into Identity Guard and see my credit scores and able to print a credit report. Love the job they are doing! Love the site and all its capabilities. The app is so limited, though, that I uninstalled it so I could just access it on the internet browser because it was easier. have trouble getting rid of wrong address. i do like identity guard though. I have been with you guys for a few years now. There's no need for anyone to search for another company for credit and identity theft protection. You get an A+ in my book. Keep up the excellent work Identity Guard. I have used Identity guard for at least 10 years and have been very Happy. Although it was a minor problem, the person on the phone handled it very professionally and assured me everything was fine. She also helped me enter a new password. I feel very safe and confident with Identity Guard watching over my credit cards and accounts. I am comforted receiving monthly e-mails that say everything is fine. And if they aren't, I hear about it in a timely manner. I feel you do a fine job communicating necessary information from a distance, but = on a personal level I feel neglected. When I receive an occasional "alert" there are times I would like to be able to speak with someone but you funnel all phone calls to the same phone number i.e. inquiries, new service etc. I think there should be a different phone number for your members who receive alerts...this would feel more personal and less worrisome. Will you take the challenge and provide more personal service to your customers? ID Guard provides a wonderful service at a reasonable price. My only complaint is they are not very quick to notify you of changes to your credit report. They send you monthly updates and I was used to getting an email the very same day of the change with my previous security provider. I was s member that came over from Chase. My personal experience with you is outstanding. However, I have been disappointed with new member options for spouse and the Costco membership for family. You are never really upfront with what your memberships include. A bit confusing, bordering on deceptive. conclusion: "older memberships great; newer membership questionable value. I have been with Identity Guard for several years and they always notify me of any request related to my personal information. If anything changes, they let me know. If someone is checking my credit, they let me know. The service has been GREAT for me and I sleep better at night knowing that I am with Identity Guard. Love it. Love it. Love it. It's so nice to have this service. To check my credit scores, get alerts, get my credit report, etc., is so easy and convenient. The monthly subscription is a small price to pay for the variety of services provided.. The accessibility with a CSR rep was very difficult to access. You are on hold for a long period of time while the inquiry process is being handled. Having major issues with your ability to report my credit scores. Getting ready to cancel service. We were contacted by Identity Guard immediately when suspected unauthorized use of our credit card was detected. No unauthorized charges occurred but we had to get new cards which is a hastle but they prevented a large problem. Very happy with their services. I love Identity Guard and couldn't my life without it! It keeps me informed EVERY AND ANYTIME someone checks my credit!! I have never felt safer and recommend them to all of my friends and family!! Whenever I've called and had a question the customer service representative explained the inquiry to me thoroughly and was very attentive to my needs. KEEP UP THE GREAT WORK IDENTITY GUARD!! I have been very pleased with the experience of using Identity Guard for information about my credit report, credit repair information, and the protection of my major credit cards. Very good service and reasonable cost. Very misleading and hidden costs for the service. You get billed every month, but can only see your scores every 3 months? I've now paid over $50 to see one report! I have been using Identity Guard for several years. I can't think of anything to complain about. I get periodic reports in a timely manner and the coverage is comprehensive. I did not rate them a 10 because the true test is what happens if you are a victim of identity fraud. Fortunately, I have not had to test their service in that regard yet. I was just notified that our personal information had been hacked at a cruise booking service that we used about 10 years ago - so we'll see. When I signed up I was told that if I canceled the subscription, ALL MY DATA would be removed from the records of Identity Guard. I just canceled my subscription and asked about removing my data. I was told by a Supervisor that all my DATA including my social security number would be retained in the records of the company. Supervisor could not explain why they would keep my social security number on their files. I never gave them permission to keep my Data if I canceled subscription. Very disappointed!!! After I posted my original review the company returned my payment. I seem to only receive uninsidental issues. Very inconvenient when you have to go out of your way just to find out I paid my car off or my house loan etc. Da! They don't have around the clock customer service. The app can not tell me what county records issue I might have, causing another phone call. Whoops there is no one to talk to because it's a weekend so I need to wait and stress all weekend till I can figure out what's going on. It's Monday and I called to find out my property taxes were paid. Da! Customer service is always very polite and seem to be good at what they do. Got to be a way to no whether or not an issue is critical or not. Give me some better information in the alerts. too many times when I log into their system, one or more of their services are not online, for whatever reason. if they cannot keep their own system online, what does that say about their protection abilities. Costco member. I guess I misunderstood the role of IdentityGuard. I had an account completely taken over and so far have not received any notice of this from them. I asked about that and was told they are a post-activity service and respond only when they are told there is an issue by the financial institution. Not what I was expecting frankly; I was under the impression the service was proactive. If I have to manage issues and clean up on my own, why am I paying for the service? Shockingly Awful - We've had Identity Guard for years and fortunately, never needed their help to resolve any issues. Six months ago, they send an e-mail explaining how you should get the service for your kids because they too can be at risk and you're not as likely to know about it until much later. So I take them up on it. I talk to the kids and I set up min son's account and have my older daughter set up her own. The boy doesn't follow his, so I do. To begin with, we notice another name on his public record and that takes some effort to clean up. Well, he's overseas studying when I get an e-mail saying that there's a change to his public record. I try to sign on to see it and can't so I call. They argue with me that since he's over 18 he has to call. Well, he's a tad far away and there's a significant time difference. So I tell them that unfortunately we'll have to wait until he's home again or can look into it himself; in the mean time, they're responsible for anything that transpires due to a potential identity theft. Within minutes I receive a cancellation for his account. These people are fine with reports and willing to automatically debit your money - but run into an issue that could be a sign of identity theft and they're no longer interested. Terrible customer service - for years, I was able to get reports but now identity guard cannot pull all my reports - will not find out what is the problem. In fact, they have emailed me many times to call them - I thought they were able to pull over reports - no! They even called me today just to leave me on hold for 15 minutes!!!!! I've been using Identity Guard for a while now. I first found out about them from Comcast because they were offering free service to members in my area (Seattle) and I love it so much I upgraded so I could use more of the paid services. You advertise $14.99 mo. for your service. Why is my charge up to $16.99?